Hey guys! here’s a nice thick book for those of you that love to lavish in a nice long story. I have this ARC in my office, if you’d like a preview. Bick, Ilsa J. 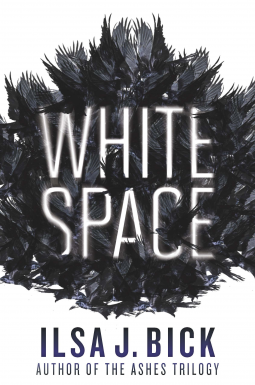 White Space: Book One of The Dark Passages. February 11, 2014. Egmont. $18.99. 360pp. 9781606844199. Grades 8 and Up. Emma Lindsay’s got problems: a head full of metal, a crazy artist for a guardian, and these weird blinks-stretches of half-remembered time when her mind seems to bleed into other lives. Then, for class, she writes “White Space,” a story about kids stranded in a spooky house during a blizzard. But this creates one more issue: “White Space” is nearly identical to an unfinished novel about characters that jump off pages into other stories. But she’s never seen that manuscript. No one has since the writer, killed years ago, never completed the book. Which means she’s blinked into the head of a dead guy? Or has she tripped into the nightmare of her own story? Because now Emma is trapped in a bizarre, fog-shrouded valley with other kids who have their own dark secrets and strange abilities. The question then becomes is she real? Are the others? Or are they just characters who have all fallen between the lines into White Space-and can they escape before someone pens their end?